Book online! Get 5% discount on any cycling tour departing in July and August. 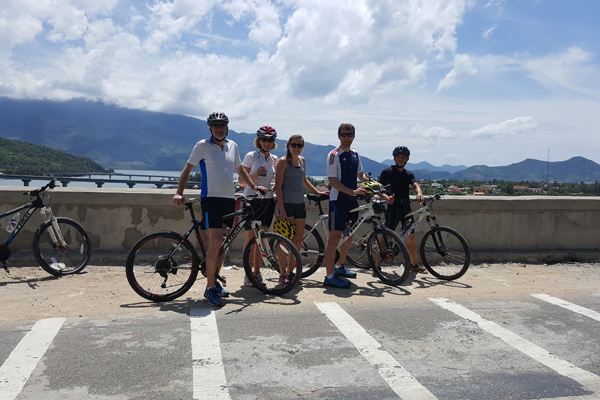 Cycle the most beautiful coastal mountain road between Hue and Hoi An. 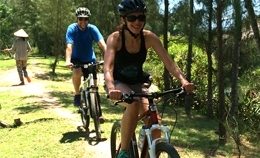 BUFFALO'S ADVENTURES" is specialized in cycling, trekking, walking, and tailor-made adventure in Hoi An - Vietnam. We have experienced and professional tour operator and tour guides to give advice and assist you to craft the ideal trip. Let contact us and let us know where you would like to go and what you would like to do. We are flexible to prepare an itinerary and a quote for you that exactly matches your preferences. We aim to provide our guests with uniquely local experiences and excellent local support. Quality, trust and safety are keys in travel and at Buffalo’s Adventures we take them seriously. Specialized in high quality bicycle for cycling tours and rentals in Hoi An. Top-notch bikes from reputable brands:TREK, GIANT, ASAMA, available in all sizes and chosen to suit different varieties of terrain of the area. To meet our Guest’s bike riding preferences, our bikes are prepared to be adjusted and our guests to get the most out of their touring experience. This is the most physically challenging of our biking day trip from Hoi An to Hue. Fantastic views throughout the ride and a great sampling of the terrain with mountain road, beach, rivers, forest and small country farms. Be fit for this fabulous biking route. This unique cycling tour is a fantastic way to see the most beautiful coastal mountain road of Vietnam and experience the countryside up close and personal. Also opportunity to discover Marble Mountain and the famous world heritage sites of Hoi An and My Son. The itinerary can be done in reverse. This cycling tour showcases the best of Vietnam: You will certainly get a great taste of the charming cities of Hanoi, Hue, Saigon and the beautiful Halong Bay, the Mekong delta, famous Hai Van Mountain pass, the tropical beaches of Hoi An and the hidden jungle valley of My Son. Lowest price guarantee, you are guaranteed a car from a leading supplier. Amend or cancel your booking quickly and easily. ​Trusted by over hundred Customers! ​​Contact us now to reserve your car as soon as possible! This three day adventure will take you from Saigon to Bentre, Cai Be, Vinh Long and Can Tho, offering the best of everything the Mekong delta has to offer. Small group tour ensures a more personalized experience. This is the five hour leisurely cycling tour you will do in Hoi An, taking you to beautiful islands, stunning countryside scenery, village path and avoid the typical tourist things. Enjoy great food, high standard comfortable bicycle.., Small-group tour, you’ll receive personalized attention from your guide.! Early morning is good time to walk and enjoy nicest temperature of the day, you will visit fresh market before going to My Son, with any good luck you will see beautiful sunrise. If you would like to see holy Apsara dancewhich is performed by charming Cham ladies, please let our guide know, he can arrange it for you.